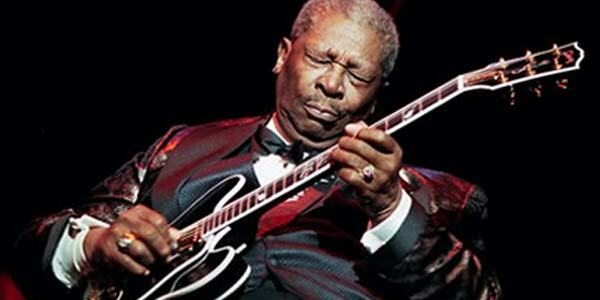 One of the masters of the blues – B.B. King – was born on September 16th, 1925, on a plantation in Itta Bena, Mississippi, near Indianola. Hitchhiking to Memphis in 1947, King connected with Sonny Boy Williamson II, another Mississippian, where King began to play B.B.’s first big break came in 1948 when he performed on Sonny Boy’s radio program on KWEM out of West Memphis. Prior to being on KWEM, Williamson (Rice Miller) and Robert Lockwood, Jr. did the now legendary King Biscuit Time radio show on KFFA in Arkansas. The show reached an audience in the Mississippi Delta and influenced King as well as other Mississippi blues musicians including James Cotton, Ike Turner and others. It was on KWEM though where King came to initial prominence with his own segment on the station called “King’s Spot.” While B.B. King was influenced by his Mississippi roots, he was also inspired by Texas blues musicians including T-Bone Walker and Blind Lemon Jefferson. King’s now classic story of how he saved his acoustic guitar in a fire and then naming it “Lucille” is just one part of King’s incredible legacy. Below, watch a few videos of King through the years, including a full hour long concert performance he did with James Brown.